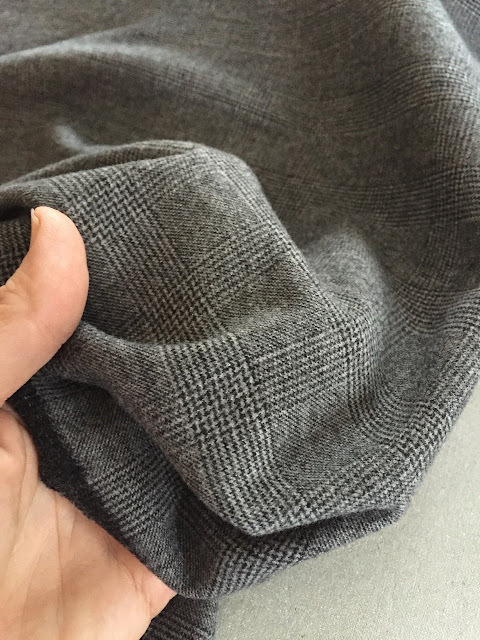 A mitered corner, which one usually finds in a tailored garment where a facing and a hem would otherwise overlap, is not difficult to make if one knows how. 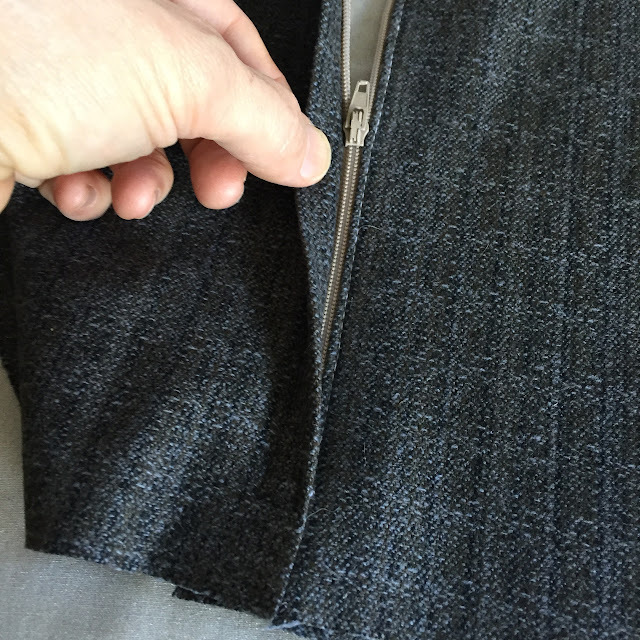 Ladies Tailoring: Let's Make a Lapped Zipper! 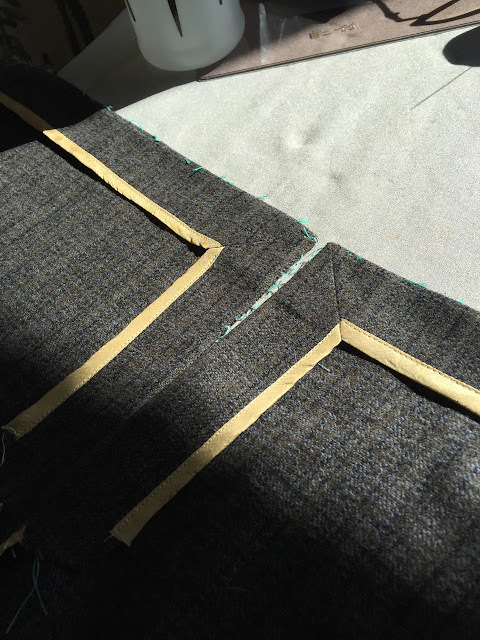 Time for another Ladies Tailoring post, readers. Peter Models the Denim Overalls and Flannel Shirt! 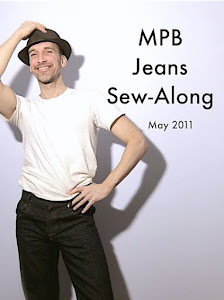 To see me in my new flannel and denim attire, just click here. 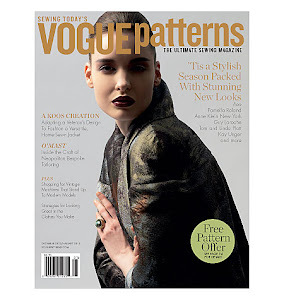 New Patterns, New Projects + Post-Picasa Possibilties, Please! 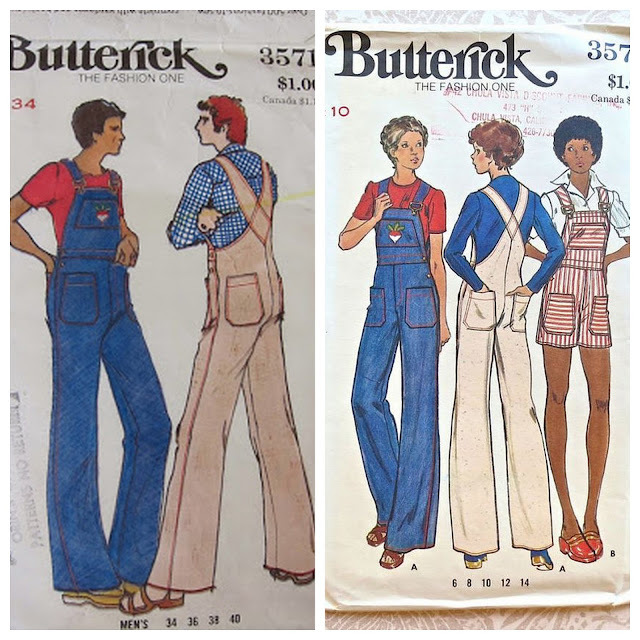 I've owned this vintage Seventies men's overalls pattern -- Butterick 3571 (up top) -- for a few years now. 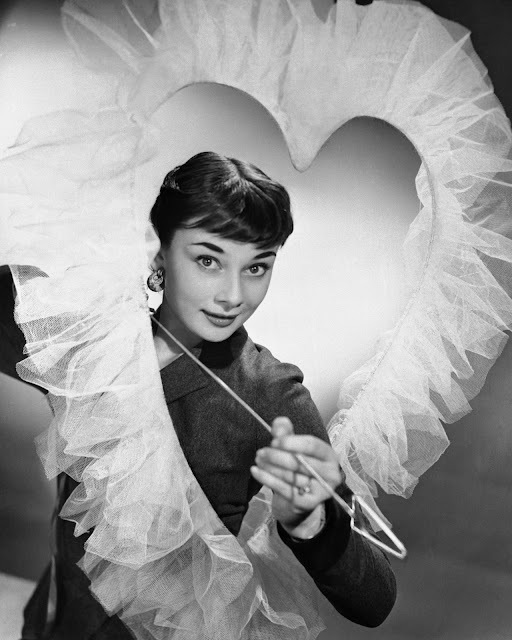 NAME THAT PATTERN - Belated Valentine's Day Edition! How could I have missed Valentine's Day this year? 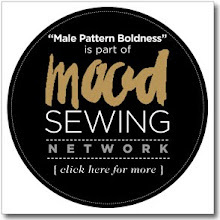 I hope you'll forgive me and still celebrate with me -- albeit a bit late -- by playing a round of the sewing blogosphere's favorite pattern-naming game, MPB's exclusive NAME THAT PATTERN! 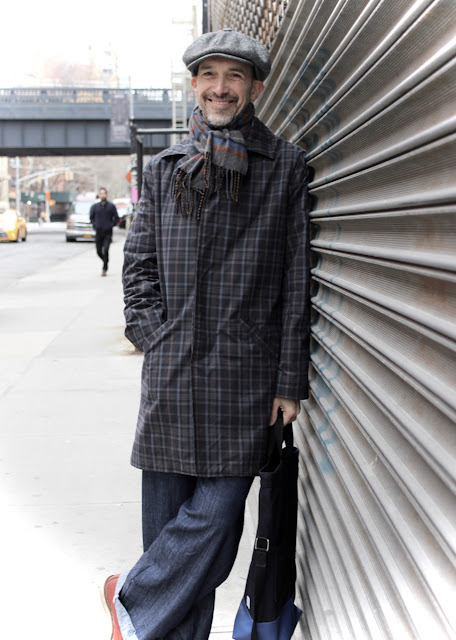 A Glen Plaid Flannel Shirt and More! Time for another shirt project -- or two! 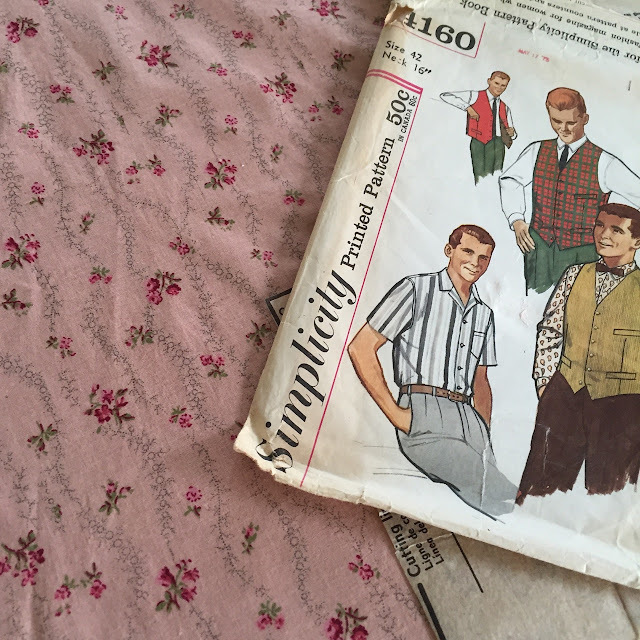 Simplicity 4160, a camp collar shirt and vest pattern, dates from sometime in the early 1960's. 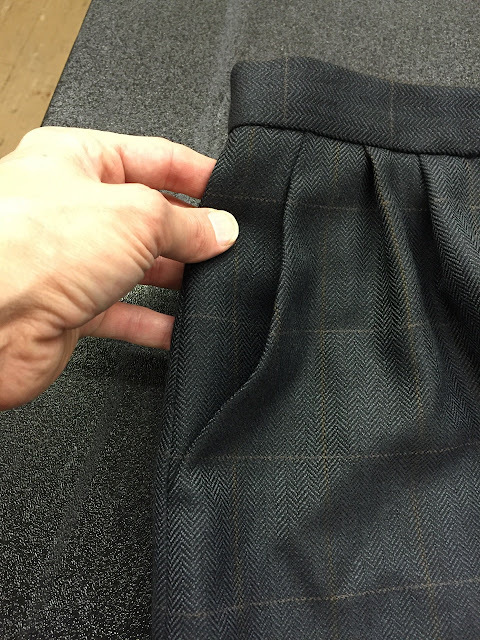 I am loving my ladies tailoring class at FIT (Fashion Institute of Technology)! 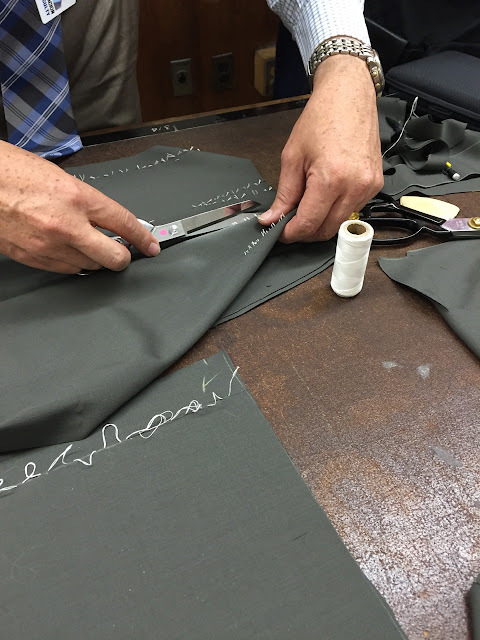 Something New -- Ladies Tailoring Class at FIT! 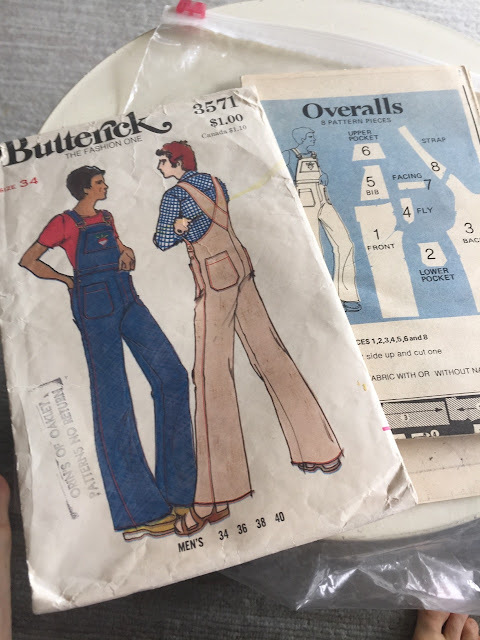 After taking a basic Patternmaking class at FIT (Fashion Institute of Technology) last semester, I wasn't sure what I wanted to do this semester. 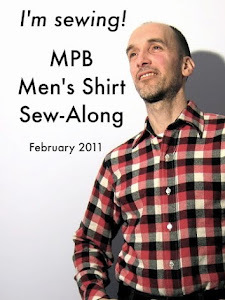 It's hard to believe, but on January 23rd, MPB turned six -- six! 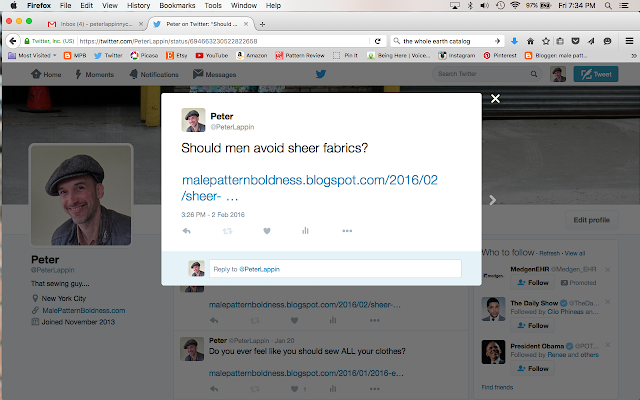 Sheer Fabrics for Men - YEA or NAY? Readers, I think of myself of as open-minded and I know you are too. 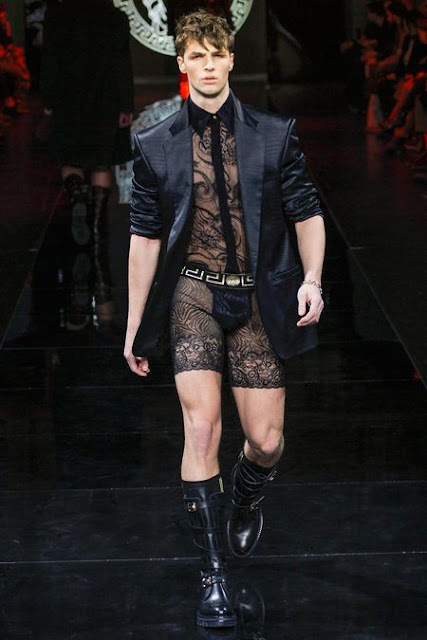 But it is my opinion that sheer fabrics, lace included -- as in that Versace number up top -- don't do most men any favors. Do you agree?